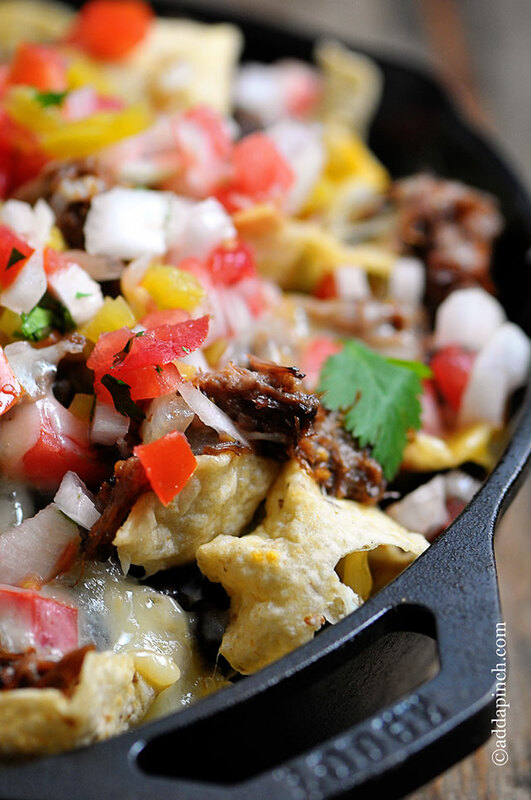 These Shredded Beef Nachos need to happen in your life. Like this weekend. Or sometime this week. Or better yet, why not today! 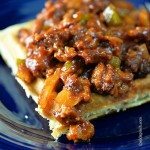 Since I make my slow cooker shredded beef routinely, these shredded beef nachos only take a few minutes to throw together. Which makes them absolutely perfect for a quick supper or when friends drop by to watch the game. You know, sofagating. Is that a term? If not, we totally need to make it one. 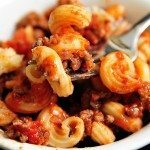 Thankfully, the rest of the ingredients are items that I usually keep on hand in my pantry or refrigerator, making these about the easiest throw together fantastic-ness evah! 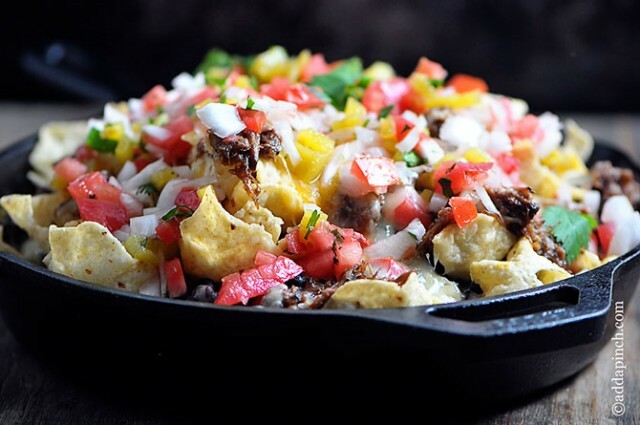 Tortilla chips, shredded beef, black beans, cheese and a fun twist on my pico de gallo all thrown into a skillet makes this a one skillet macho taco dish of the most supreme sorts, too! Serve it with plenty of sour cream, guacamole, and a little bit of that fun pico de gallo on the side and you’ve got a winner! Here’s my Shredded Beef Nachos recipe. I can’t wait to hear how you love it! 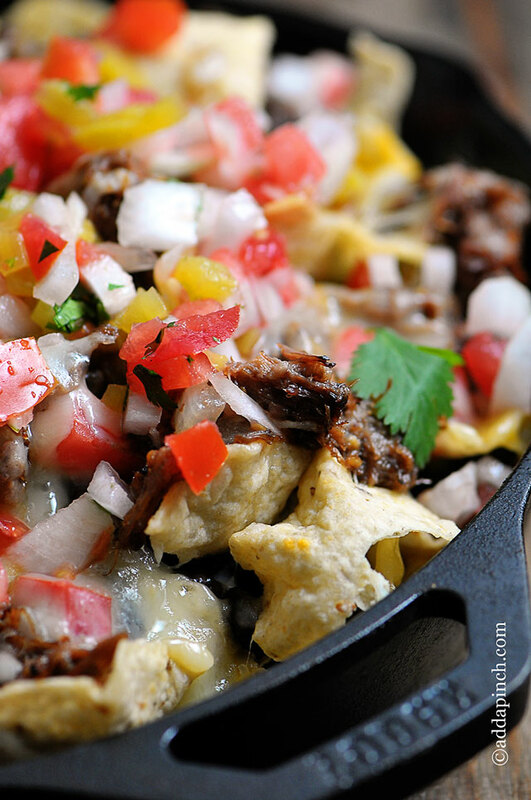 Shredded Beef Nachos make the perfect, hearty game day meal or served for when entertaining. 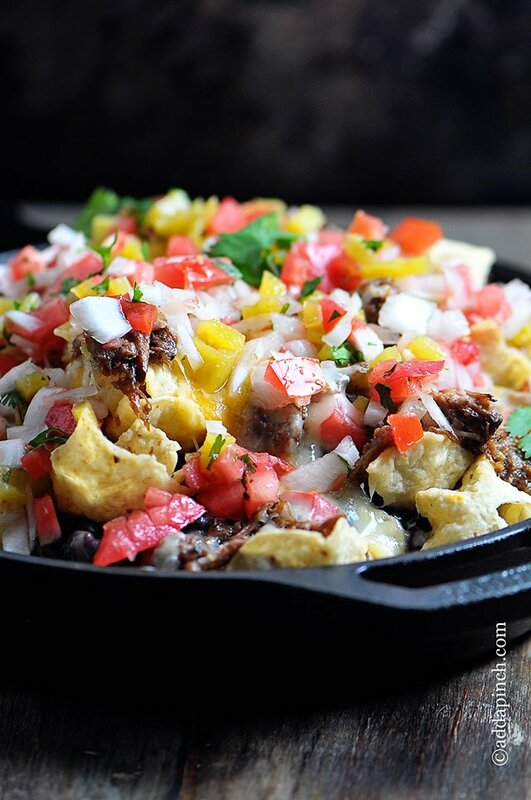 Shredded Beef Nachos also make a great quick supper for busy weeknights for a crowd. Drizzle olive oil into a 12 - 15-inch skillet over medium heat. Add shredded beef, onion and garlic. Cook until onion begins to become translucent. 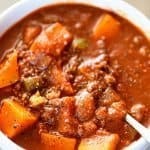 Remove from heat and spoon half of beef mixture into a medium bowl. 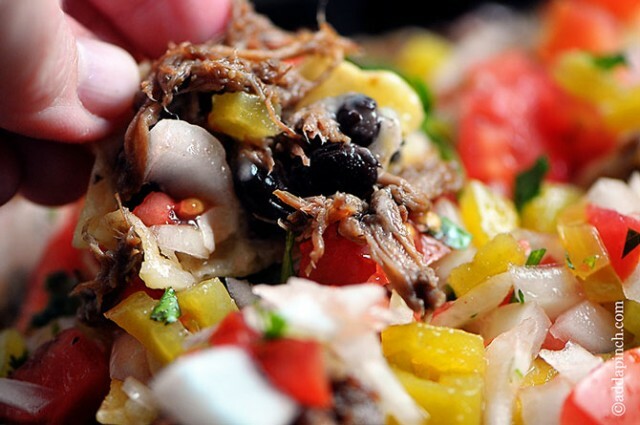 Add the following in loose layers, making sure that bites of all ingredients can be made by lifting a chip and scooping: tortilla chips, shredded beef, beans, cheeses, pico de gallo. 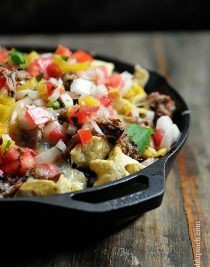 Repeat layers until skillet is full and mounded, reserving about 1/2 of the pico de gallo for serving alongside nachos. Place in oven and bake until cheese is fully melted. 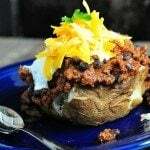 Remove from oven and serve warm with sour cream, guacamole, and additional pico de gallo. Will definitely make these for the next sofagating event! Love that word! Nachos look absolutely fantastic. Thanks for sharing! These are just too good to be true!! Love them! Oooo, this looks great. Perfect for game day or any day! Cue stomach growling. So good. 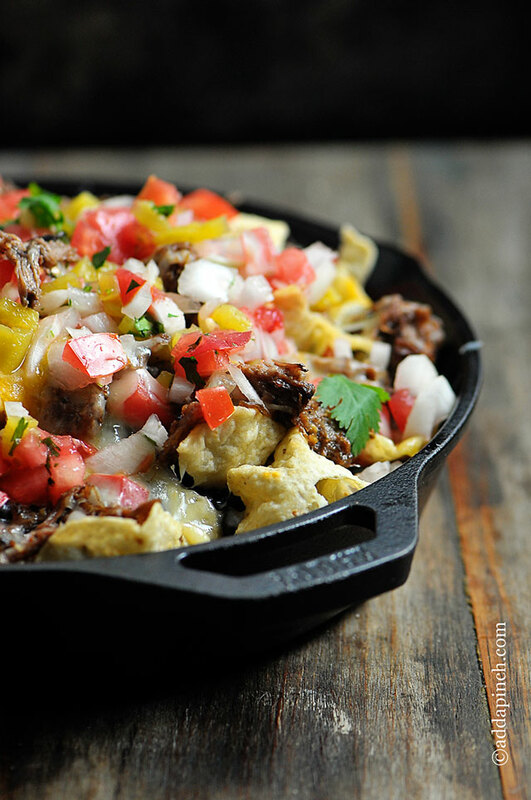 I want these nachos to happen so bad in my life right now! 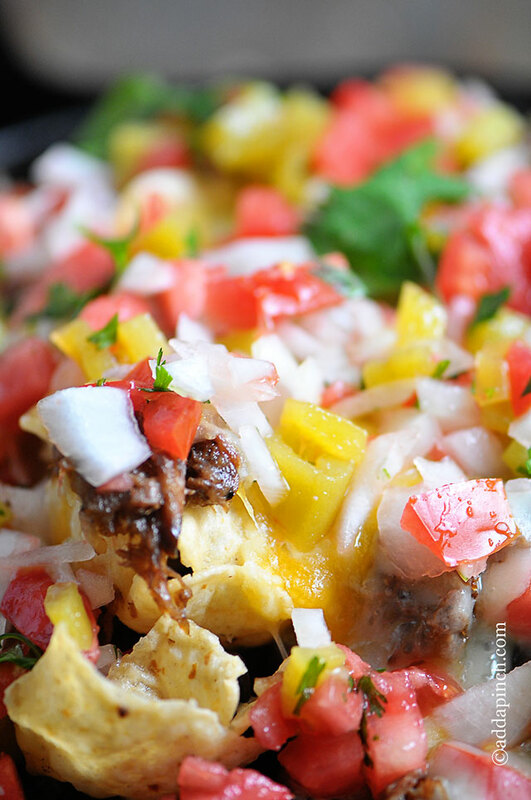 These are seriously the most perfect nachos ever, Robyn! Amazing! 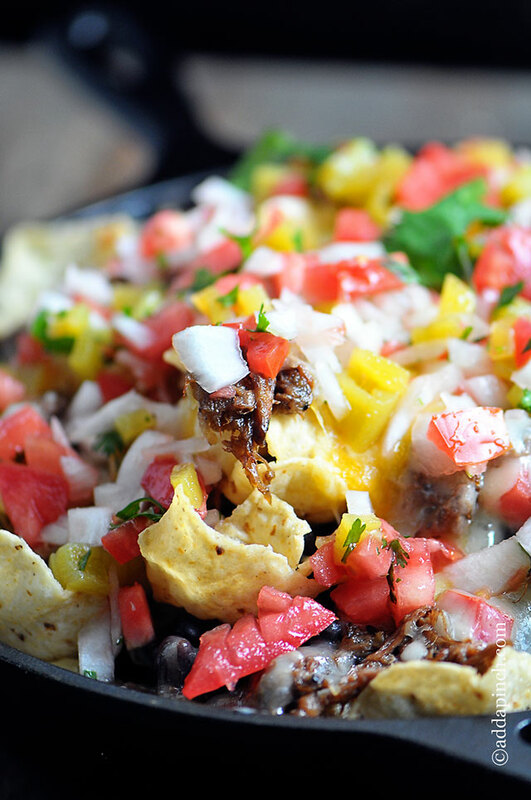 These may just be the best nachos yet! OH my goodness. My hubby would lose it if I made these…. if he got any after I was done with them! 😀 Delicious recipe, Robyn! I am printing this to try ASAP. Your link for 2 cups shredded beef is broken. (I found it but you might want to correct.) Thank you! Thanks so much for letting me know, Heather! I’ve updated the link to work right now! Sorry about that. These look like amazing nachos and I’m with you on the sofagating!! These look fantastic! 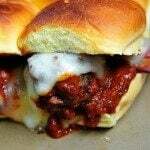 I have never made anything with shredded beef, but I definitely want to try! wWondering where you got your cast iron pan? Would love a link for where to buy. 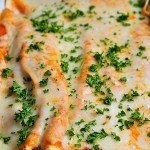 Recipe looks delish!